Summary: Sixty five million people worldwide have been forced to leave their homes due to war, persecution, or natural disaster. Many of them, including a large number of children, are seeking refuge in countries in Europe and North America. 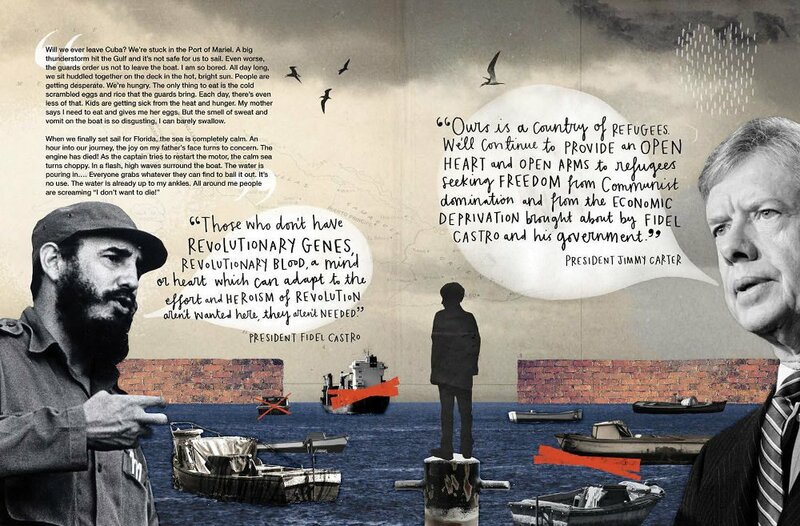 This book profiles five refugee kids from Germany, Vietnam, Cuba, Afghanistan, and Ivory Coast over the last 60 years. They have undertaken dangerous journeys by boat, been attacked by pirates, been turned back from their original destinations, and have often arrived in an unknown place with little more than the clothes on their backs. Yet each one has worked hard and become a productive citizen of his or her new country. Each profile includes the narrative of the subject, much of it in his or her own words, a timeline of the journey, and a “What happened to?” section that tells the happy ending to each story. Includes timelines and a list of resources. 64 pages; grades 4-7. 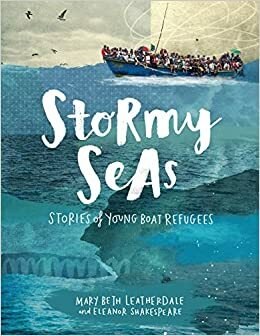 Pros: Readers will empathize with the refugees’ stories, and by extension, the plight of refugees everywhere. Fans of the “I Survived” series will find these suspenseful real-life survival tales riveting reading. The collage illustrations add interest. Cons: There are some disturbing details, like the 14-year-old girls from Vietnam who are taken off the boat by marauding pirates.